Just after the last bell rang for the end of the 2015-16 school year at Burnt Hills-Ballston Lake, construction crews moved in to break ground for a new Science, Technology, Engineering, Arts and Math wing. 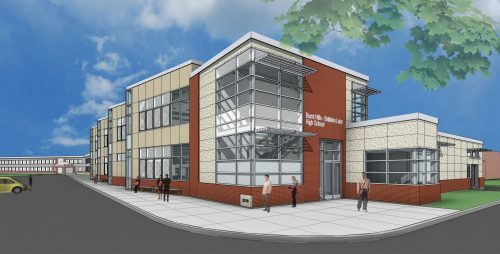 The STEAM center is part of a $34.2 million renovation project marking the start of the district’s second century. 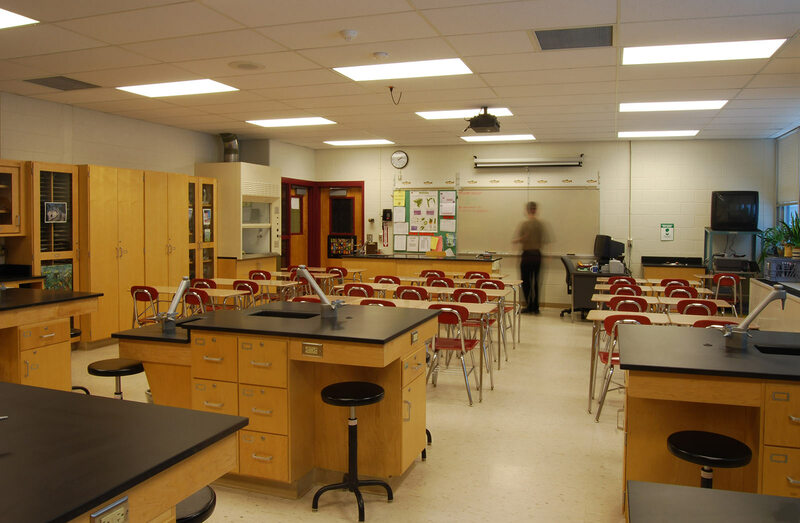 Although Mosaic Associates has been collaborating on school design and renovation with BH-BL for nearly 40 years, there was no guarantee the firm would automatically get the job. 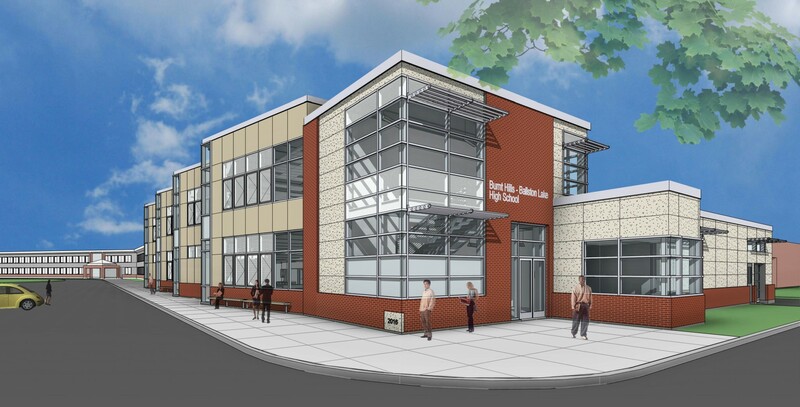 “This was the biggest, most ambitious project the district has taken on, so we opened the process to RFP,” said Superintendent of Schools Patrick McGrath, Jr. “We narrowed it down to four different firms and asked them to give their vision of what a 21st-century school would look like. It also didn’t hurt that Mosaic had such a long history with the district that its architects provided historical perspective, reliability and a deep understanding of the district and its culture, McGrath said. 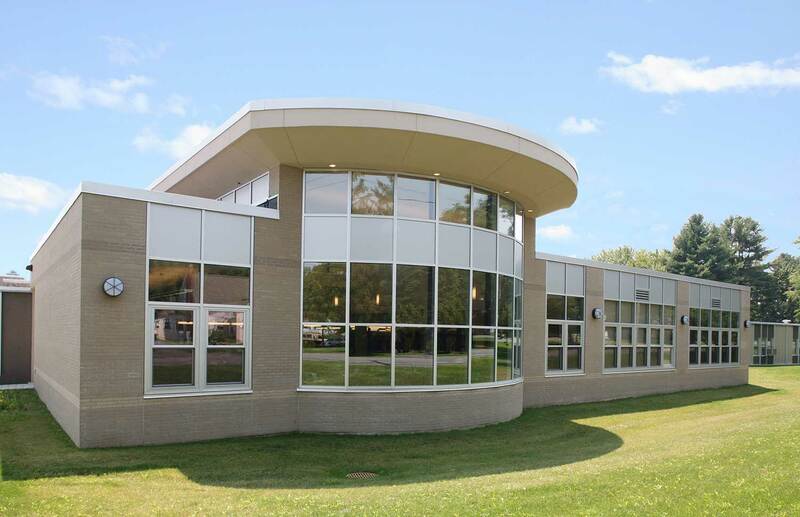 Mosaic’s school design transformed existing rooms into a blackbox theater and a modern multipurpose presentation center; dramatically updated the physical education classroom/fitness center and changed the mission of the library though flexible design. 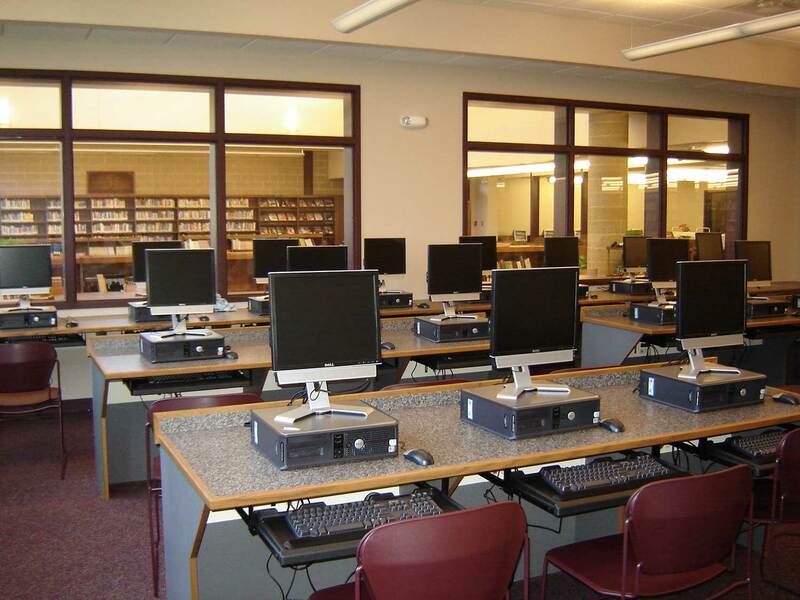 “With the library, the vision was changing it from a place where you acquire knowledge, to a place where you collaborate and synthesize knowledge,” said Assistant Superintendent Christopher Abdoo. The new library is called “The Learning Commons,” a full-service learning, research and project space. It accommodates students when they need a meeting place for collaborative projects and offer study areas where students can easily rearrange furniture for impromptu planning sessions or a quiet place to work. As the project continues, the oldest section of the school – the English wing – will be transformed into district offices. The English classes will move to the math wing and the math classes will move to the new STEAM wing. 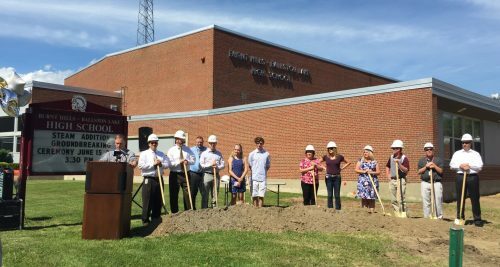 This phase of district-wide improvements also includes construction and renovations at Pashley and Charlton Heights Elementary Schools. These initiatives build upon previous improvements – all designed by Mosaic – that include a new turf Centennial Field, transforming the Richard O’Rourke Middle School and doubling the size of the high school cafeteria. 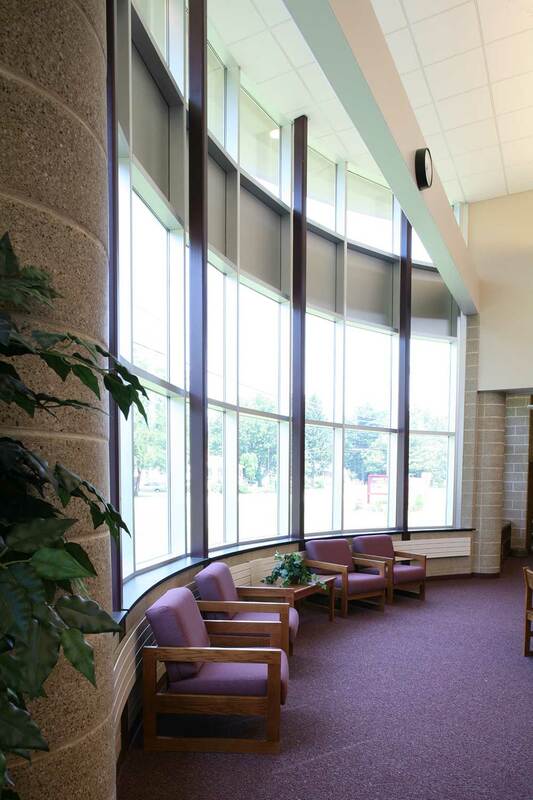 The 2,500-square-foot cafeteria addition dispelled the fluorescent gloom of the existing dining space with tall glazed curtain walls. Because of existing topography, the addition had to be constructed four feet lower than the original cafeteria. Mosaic made this an advantage by using the levels to create distinct areas for study groups and meetings – without limiting sightlines for supervision. 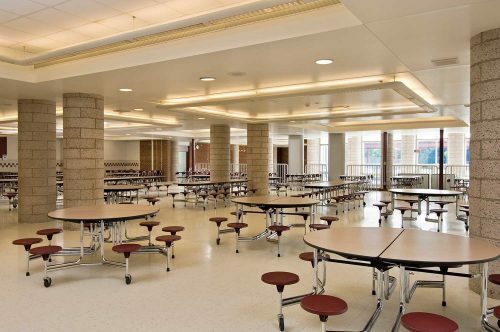 New finishes and indirect lighting unify the old and the new, making the cafeteria a bright and airy space for eating and socializing. 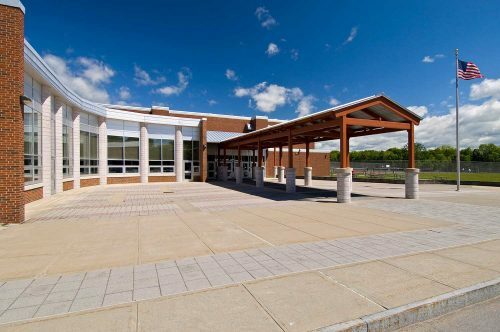 The project gave the architects a chance to define an entrance to the previously hard-to-find gymnasium by forming an exterior plaza with built-in benches. The addition of canopy to filter direct sunlight in the lobby creates an entry vestibule that shelters students waiting to be picked up and gives them a comfortable place to hang out in nice weather. Engraved concrete pavers in the plaza are used as a community fundraising tool.